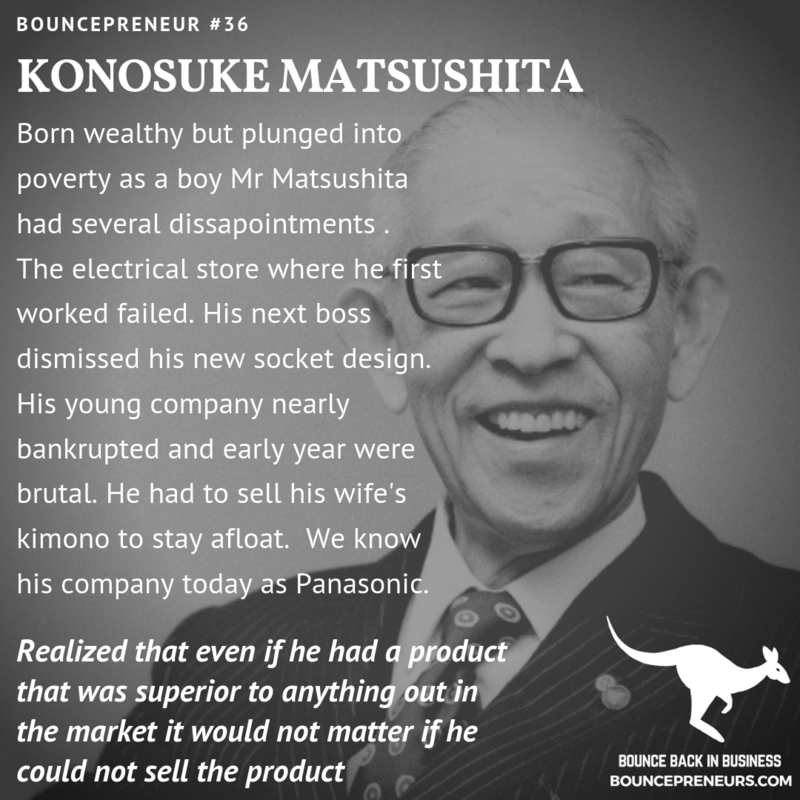 Born wealthy but plunged into poverty as a boy Japan's Mr Matsushita had several disappointments . The electrical store where he first worked failed. His next boss dismissed his new socket design. 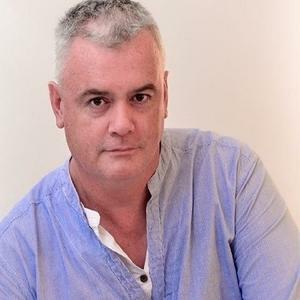 His young company nearly bankrupted and early year were brutal. He had to sell his wife's kimono to stay afloat. We know his company today as Panasonic. 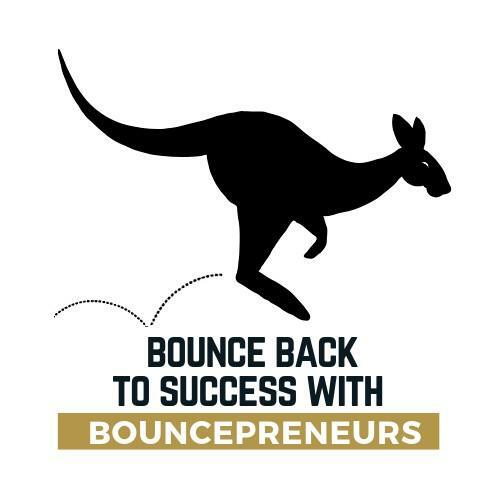 As Founder of Bouncepreneurs I love to help entrepreneurs bounce back in business and help start ups avoid startup failure. 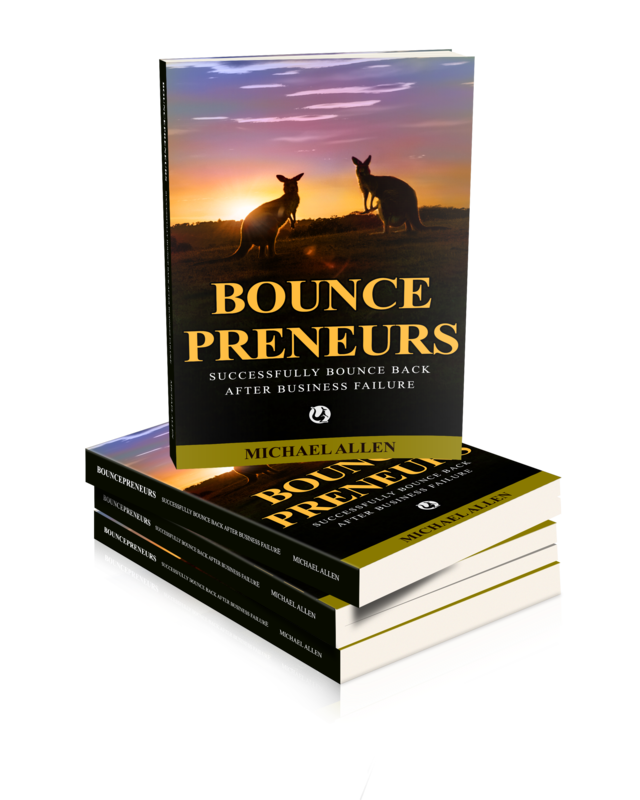 My blog features great business bounce backs.